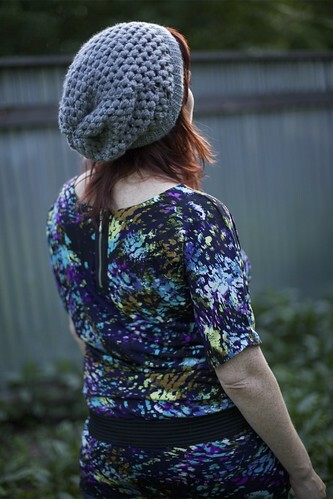 NEW PATTERN: Urban Jungle Slouchy Beanie! 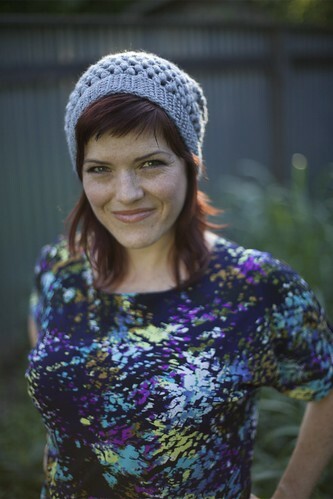 The pattern for my latest design for Caron, the Urban Jungle beanie, is now available for FREE on their website. Get it now, and start crocheting today! filed under Free Projects, Knitting/Crochet, Vickie Howell for Caron. It’s a fun pattern, Vickie! Thanks for posting it! hi there, I’m very confused when it comes to closing it up, could you help me? Hi Vickie, when I crochet the band for the urban jungle hat I find 21 inches huge, do you mean when you can stretch to 21 inches or 21 inches unstretched, what is the number of ridges, I made mine front loop only instead of back loop maybe this is why I have this problem? Why did you use back loops was there a reason? 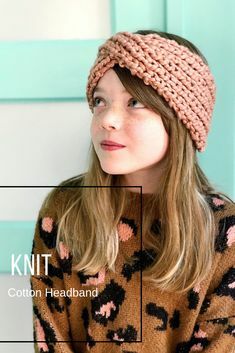 This is driving me crazy, I undo and redo, the hat is for a little girl and I would like to modify and make a small urban jungle hat, 72 is too big should I go 62? 52 for baby etc? Hmmm, no, 21″ is how long I made it because crocheted rib doesnt have a ton of stretch. An adult female head averages 22″. If you’re making the had for a child, her head is probably more like 19-20″, so I’d make the band an inch shorter than that. The pattern actually calls for working in the front loops, not the back ones (http://www.caron.com/vickiehowell/patterns/urban_jungle/urban_jungle.html), so what you’re doing should be right. To size down, you’ll need to subtract 4 for each size. I am having problems viewing your website, caron.com/vickiehowell/urbanjungle. the server is not responding or there maybe another issue, because i am able to view your blog but that is all, once i click a link to go to caron.com the webpage never loads. a little help? Hey there. Looks like the Caron site was down for a bit yesterday, but it’s back to normal now. Sorry for the inconvenience! Hi there – my teenager LOVES this hat! Totally! But I am having trouble joining at the end of each round. I have 36 puffs and 36 spaces, but not sure where on the chain 3 to join with the sl st. And then where the first puff starts for the next round — right under the chain 3? I seem to be getting a crooked seam and too much space at the join — like there’s a puff missing in that spot. Any thoughts? Thanks! Can you show me a picture of the problem so I can help you better? Thanks! Thank you SO much for posting this, I absolutely love how it turned out! I was disappointed that only knitters seemed to be able to turn this out, until I came across your blog. <3 Thank you! thank you! 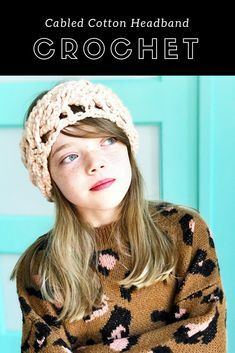 Hi Vicki, I have never crocheted before but would really like to learn especially so I can make urban jungle hats for gifts and the winter season. Do you have any tips on how to get started? I need to start from the basics. please let me know thank you! Why yes, I do. In fact, I have a whole bunch of tips. 🙂 Try my online crochet class, Crochet Lab. It explains everything you need to know. Oh, and if you use this link, you’ll get 50% off. HTH! Hi Vicki! I’m still pretty new to crocheting but decided to make this hat as a present. How many times do I follow round 2 of the body? If I go only do one round of round 2 and then go to round 3 the beanie is not slouchy. It’s small like a fitted beanie. I seem to have this problem with hats a lot… I must be missing something when it comes to reading patterns! Hi Vickie. 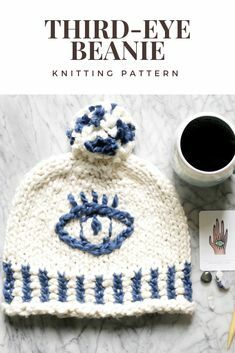 Thanks so much for posting this pattern! I just finished mine and it looks great, it’s not perfect but I like the result. Now I would like to make one for a 2 year old, how many inches would you recommend for the circumference? And also how many inches deep should I make it? Thank you! I’m trying to crochet this beanie and I am also having the problem of the crooked (diagonal) seam. I’m following the pattern and I watched someone else’s video of this pattern, but it’s still going diagonally. Were you able to help the other person who had this same problem? Thanks so much! Love the hat. LOVE the look of this hat, so of course I’m trying to make one for myself. I’ve run into an issue concerning Round 3 though – can anyone help? I’m unsure as to where to put my first and last puff stitches. Should my first puff stitch of Round 3 be BEFORE or AFTER the first puff stitch of Round 2? I have the same problem for the last puff stitch – should it be before or after the last puff stitch of Round 2? Right now I have my puff stitches before the first and after the last, but it looks all squished…just doesn’t seem right. Thanks so much in advance! So I’ve had this hat sitting in my box of crochet for like 2 weeks now, since I keep giving up when I go to close it since its very confusing probably just me. The video didn’t help since it was hard to see, but when you go to close it up is it suppose to look all weird and funny and not neat and perfect at the top? Hi I was wondering if u have this for sale on any of ur sites I’ve been searching this same exact hat made by u everywhere. I don’t know how to crochet at all & I’d like to have this hat sometime this summer. If it or a similar replica isn’t for sale, I understand. I just want to find out if it is ’cause I wouldn’t want to miss out on a hat made by a professional crafter like u. Thank u for ur time.